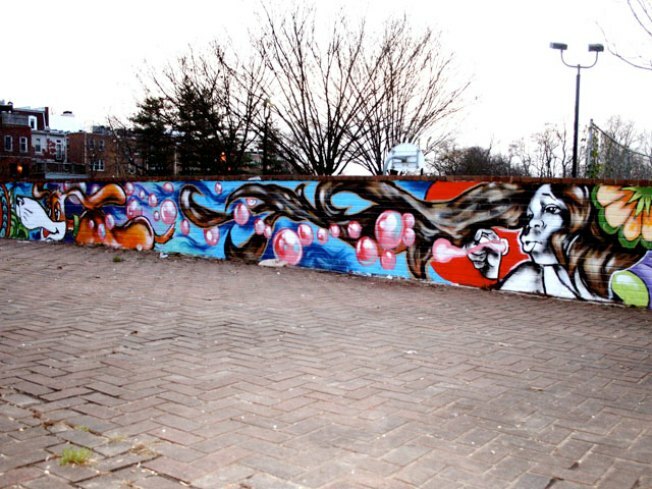 The next time a D.C. mural stops you in your tracks, you can just pick up your cell phone to find out the inspiration behind the art. The DC Commission on Arts and Humanities wants you to dial into the arts with its new citywide cell phone tour of public arts destinations. You just dial (202) 292-2565 and press the corresponding number assigned to the art project. A pleasant voice introduces you to the artist, describing the materials and meaning involved in each creation. For example, press 15 for the Walter Pierce Park mural by Aniekan Udofia. The recording tells you that Udofia is a native Washingtonian who wanted to communicate the theme of community in his work. It says the mural is interactive and inviting to both children and adults, and that the bubbles and playful dog in the painting come alive to their viewers. The cell phone tour includes 20 works of art and their artists, and represents each quadrant of the city. The commission's Web site says the public will be connected to the voice of the artist. But at this point the same voice guides each phone tour.